We just got back from a short (4 days) vacation in Berlin. And I have to say this trip to Berlin was all about food and history. History was what took me to the city the first time, but the amazing vegetarian food in Berlin is what will take me back to it! Now German food is not really vegetarian friendly. 8 years ago, I had gone to Munich and had a pretty bad time even explaining the idea that vegetarian food means no fish either. I survived entirely on salad that time. But Berlin is totally different! By my experience, I would call it the vegetarian capital of Europe! The cafes and the fusion food scene is wonderful. I wrote back to her saying I also want to ‘see’ things while there. She said “you can’t not see things in Berlin but I have to really make sure you explore the right places to eat especially for vegetarian food”. When I got back from Berlin, I knew exactly what she meant. So I have to confess, of the 3 brunches and 4 dinners we had, 4 were Asian food. It is not funny, the number of Asian restaurants you will find in Berlin. Every street has them and sometimes even multiple of them! The same goes with boutique cafes. Here are our recommended vegetarian restaurants in Berlin. Some are 100% vegan restaurants and some are vegan & vegetarian friendly cafes/restaurants. In all these places you would find vegetarian, vegan, and gluten free dishes. ROAMERS: Roamers had the most beautiful food I’ve ever been presented. Like they say, “handcrafted food adorned with a fistful of love.” You can feel the love in the food and the atmosphere of the place. It’s a small cafe and chances are whatever time you go, there will be a queue (the food really is amazing!). The queue is definitely worth it. SOY-Berlin: SOY is a vegan Vietnamese restaurant. We went there during lunch time and the place was buzzing with people. They really have a huge selection of vegan dishes to choose from! They have a separate lunch menu and also a full a-la-carte menu. Normally I would worry about finding a vegetarian broth, but since SOY is 100% vegetarian I dived right into my favourite dish and what a treat it was! Burrito Baby: If you fancy tex-mex and want vegetarian, this is your place to be in. Burrito Baby is a small trendy joint offering vegetarian Mexican street food! What? really? Yes! Tacos, Burritos, Quesadilla, you name it, they have it. Loved it. Happy Baristas: “Our current favourite cafe” is how some of our friends described it when we were looking for a place to meet. Like the name, the baristas look really happy here. Coffee was good though we didn’t try their signature nitro coffee which is a summer recommendation. Their almond milk is housemate and really delicious. The food menu is small but tasteful and caters to all diet needs. I loved my gluten-free rice burger and Sikander’s vegan shakshuka was also quite nice. Cocolo Ramen: This is one of the most crowded and fastest moving restaurant I’ve been to. They serve only ramen which definitely makes for the fast service. Fresh noodles, delicious broth with loads of vegetables and/or meat and spices. They have lots of varieties of ramen. I loved my miso bowl. While they are vegetarian and vegan friendly, finding gluten-free might be a trouble as the ramen is made of wheat. Loved the environment inside. They don’t take any reservations and I can only wonder if they were so full in winters, how it would be in summers. We had to wait for about 20 minutes but it was well worth it. 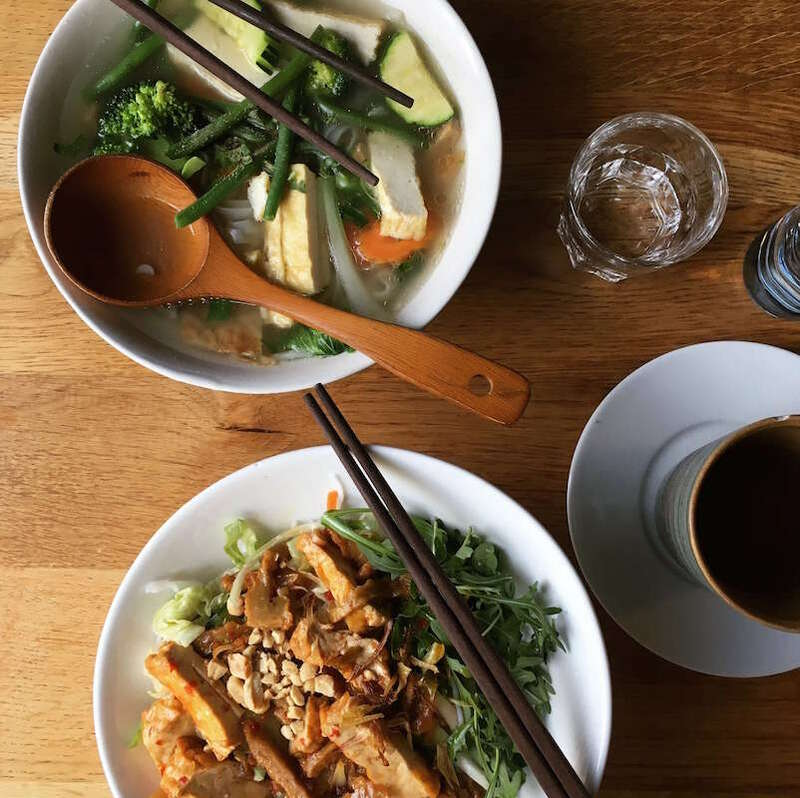 Chay Viet: Chay Viet is another 100% vegan Vietnamese restaurant in Berlin. We went there on our last night because I was really craving for some Pho and I did not know when the next opportunity of a good vegetarian pho will come! Great food and again lots of vegan dishes to choose from. There were just so many more places we wanted to go. 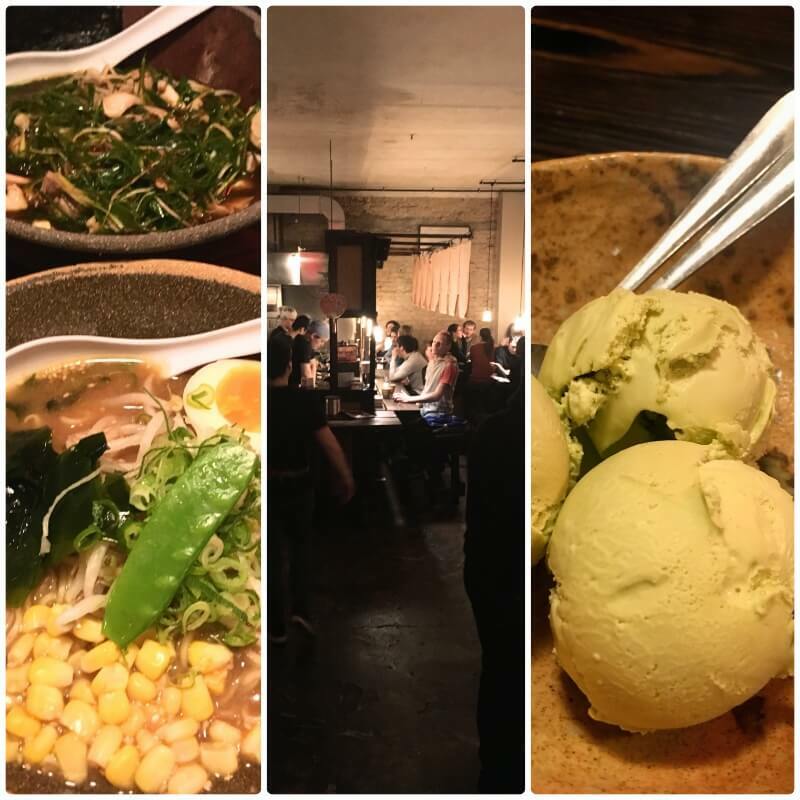 One highly recommended place was Momotaro Tavern, which we couldn’t go to. 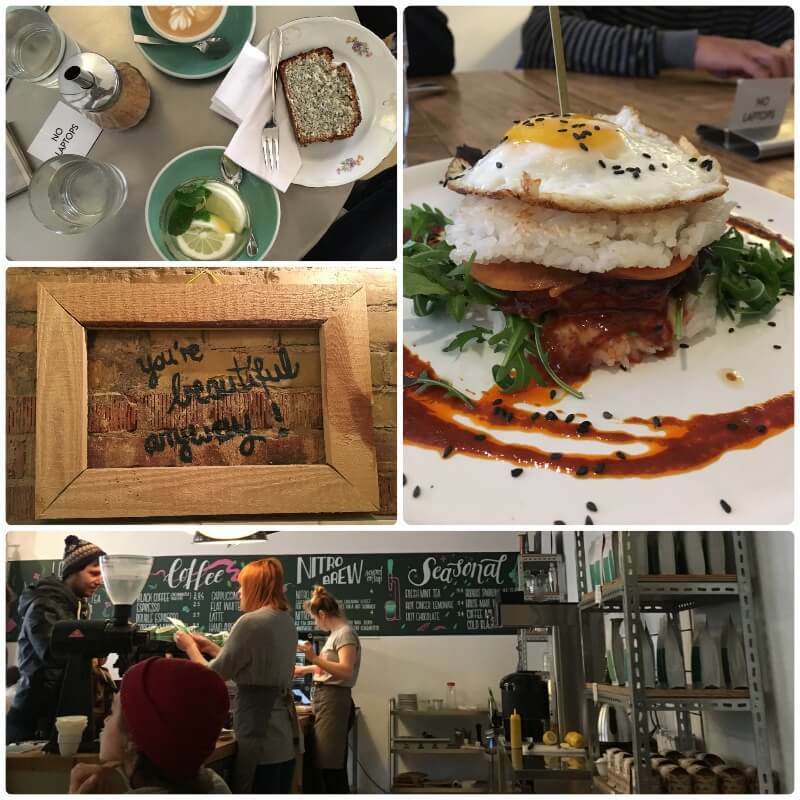 We went into many other cafes for coffee and light bites during our walks like Tischendorf, Ramones cafe, and some that I don’t remember the names of. Never did I have a bad coffee or food experience. 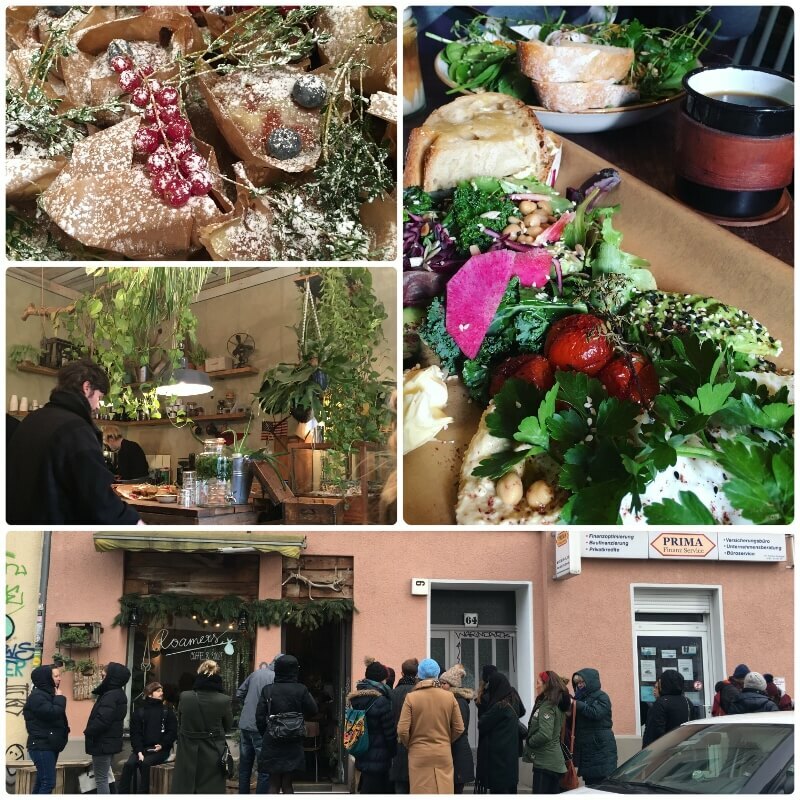 With so many vegan and vegetarian food options, Berliners are really redefining the food scene. Have you been to any of these places? Do you have more recommendations for vegetarian restaurants in Berlin? Please do share in comments. I am so sure of a summer trip to this beautiful city! Love you! 🙂 I guess it brings back memories for you!